All Inclusive Resorts Bahamas: Find the Best All Inclusives Quick! 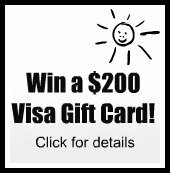 The "Top Ten All Inclusive Resorts Bahamas" have been chosen by thousands of travelers and they're summarized here in one easy location so you can find the BEST Bahamas all inclusive vacation packages QUICK! 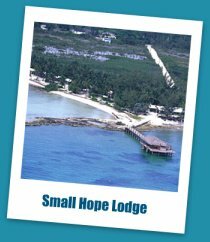 Small Hope Bahamas rated number one on our "Top 10 All Inclusive Resorts Bahamas" list and is recommended by a whopping 91% of previous guests! I'd also rank this amongst the top unique destination resorts. 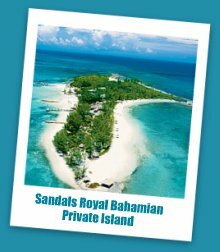 This Bahamas all Inclusive is off the beaten path on Andros Island outside the main tourist areas and is know as a fantastic dive resort. The dive boats are typically on their own at the dive sites and they have some unique dives including a wall dive and a shark dive. Guest's resort reviews couldn't stop raving about the food and the service. The resort owners are even on site to help you with anything you might need and go out of their way to make your stay memorable! Some guests commented on the accommodation being "rustic" for the price. If you're looking to be close to nature and do some diving this might be the best Bahamas all inclusive resort for you. Check out more information on TripAdvisor. Club Med Bahamas ranked 2nd of all the Bahamas all inclusives with 89% of guests recommending the all inclusive couples resort. This Club Med all inclusive is on a tiny island without many other services but the resort has tons to offer and is recommended as a family resort. Click here for more great all inclusive family vacations. Club Med is for you if you like an active vacation - traveler reviews raved about the varied and excellent activities available. Guests also loved the quality food, the staff, the best Bahamas beach (some say the best beach in the Caribbean), and the diving. A large majority of the Club Med Bahamas guests were French and Italian with a lot of guests smoking. Kamalame Cay ranked 3rd for all inclusive resorts Bahamas with 88% of previous quests recommending this exclusive, luxury all inclusive resort on a tiny island in the Bahamas. Guests described this Bahamas all inclusive resort as "relaxed luxury" and loved the fishing, the spa right over the ocean, great food including delicious seafood, the private beach, the service, and getting to do nothing. This Sandals Bahamas all inclusive hotel ranked 4th of all the all inclusive resorts in the Bahamas. 80% of travelers recommend Sandals Bahamas for honeymoon destinations, couples romantic holidays and group vacations. Sandals Bahamas tends to attract the under 40 crowd. Bahamas travel reviews said the best things about Sandals in the Bahamas is the great food, the off-shore private island, and the immaculate grounds. Some travelers didn't like not having poolside bar service, commented on the extremely slow service, and that it did not seem like a 5 star all inclusive (it is not a five star cost though!). 81% of travelers recommend this Sandals Bahamas resort for a wonderful destination wedding location, a honeymoon destination, or a romantic couples all inclusive vacation. This is a smaller Sandals resort with less than 200 rooms. Guests love the golf, the spa, the fabulous beach, Great Exuma island with it's wonderful beaches and gorgeous blue Caribbean waters, the butler service, and the quiet relaxing atmosphere. The food and service did not get the best traveller reviews - if those are very important to you, you should check out some other Bahamas all inclusive resorts such as the Breezes Bahamas All Inclusive Resort. Breezes Bahamas Hotel ranks 6th on our "Top 10 All Inclusive Resorts Bahamas" list with 69% of travelers recommending it for couples and families with children 14 years or older. This is the first Bahamas all inclusive on our list that is right close to all of Nassau's activities including casinos and nightlife. For more information see our Breezes Bahamas all inclusive page. The Riu Palace Bahamas is recommended by 66% of previous guests. It's right next door to Atlantis so if you're looking for an Bahamas all inclusive option where you can still take advantage of everything Atlantis has to offer then this may be the all inclusive resort Bahamas for you. There are plenty of other activities nearby as well including an aquarium, water park, and casinos making this a good choice for Bahamas family vacations. Bahama travel reviewers loved the beautiful beach, the great location next to Atlantis, and the cheaper price compared with other resorts in the area. Also see our Atlantis Bahamas Vacation Packages page if your dying to find out what Atlantis has to offer. 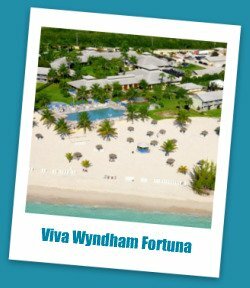 Wyndham Bahamas in Freeport ranked 8th on our "Top Ten All Inclusive Resorts Bahamas" list with 62% of travelers recommending it for Bahamas family vacations. This is quite mixed reviews for our top 10 list but the Bahamas doesn't have a ton of all inclusives to choose from. Some people loved this resort and some people hated it! The ones who loved it liked the price (cheap for the Bahamas), good food for an all inclusive, lots of activities, the beautiful beach, and the staff. Reviewers who didn't like it felt it was run-down and had poor organization on the non-buffet nights/long waits. Musha Cay Resort is an exclusive, private, luxury 5 star all inclusive on Great Exuma Island in the Bahamas owned by David Copperfield. If you can afford the $25,000 or so per night you just may have found your unique destination in the Bahamas! There are five private homes with their own beaches, a private airstrip, 700 acres and 40 beaches! 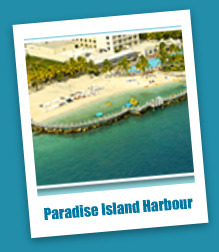 The Paradise Island Harbour Resort completes our "Top Ten All Inclusive Resorts Bahamas" listing. 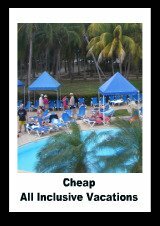 Mixed reviews again with 51% of travelers recommending this cheap Bahamas All Inclusive. Reviewers liked the location (within walking distance of amenities including Atlantis), the food, the staff, and that it was a good deal compared with other Bahamas resorts. Others felt the hotel was run-down and needed better cleaning. If you've heard of the Bahamas we know you've heard about Atlantis but unfortunately it's not a Bahamas all inclusive! To learn more about Atlantis Bahamas vacation packages click here. Hope you found our Top 10 All Inclusive Resorts Bahamas listing helpful! If you're looking for a cheap Bahama resort and are willing to try a non-all-inclusive then check out our Crystal Palace Bahamas review. Looking for Top 10 listings for other locations? 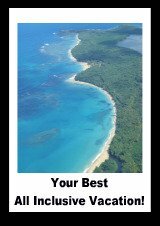 Check out our Best All Inclusive Vacation article. For tips on traveling to Bahamas all inclusives, click here.